By contrast, their recognition of musical hits from 2000 to 2015 diminishes rapidly over time. The large number of popular songs during the latter part of the 20th century may explain why so many are recognisable decades later. But Wallisch and his colleagues emphasised that recognition of songs even from this period varies. Some were extremely well known, such as When A Man Loves A Woman by Percy Sledge (1966), Baby Come Back by Player (1977), and The Tide is High by Blondie (1980), whereas others, like Knock Three Times by Dawn (1970), I’m Sorry by John Denver (1975), and Truly by Lionel Richie (1982), are all but forgotten. 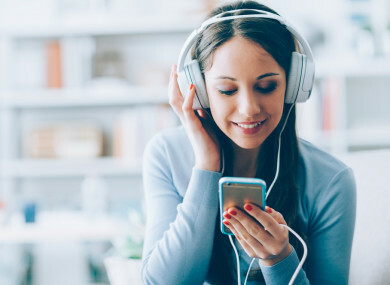 In selecting songs for their study, the researchers included those that reached the number one spot on the Billboard Top 100 between the years 1940 and 1957 and number one on the Billboard Hot 100 from 1958 to 2015. The study’s 643 participants included NYU students as well as others from the greater New York metropolitan area. The sample was largely of young participants, with a mean age of 21.3 years and a median age of 20 years. The majority (88%) of this sample was between the ages of 18 and 25. Each participant was presented with a random selection of seven out of the 152 songs in the sample, asked to listen to the selection, and report whether they recognised it. Participants were presented with 5-, 10- and 15-second excerpts deemed to be representative by a consensus panel of seven practising musicians and professors of music theory and composition – these excerpts often contained a highly recognisable lick (a unique and often repeated pattern of notes played by a single instrument) of each song. In response to hearing each song, participants were prompted to indicate whether they recognised it. The researchers then plotted the recognition proportion for each song as a function of the year during which it reached peak popularity. The first phase showed a steep linear drop-off in recognition for the music from this millennium, steadily declining, year by year, from 2015 to 2000. The second phase was marked by a stable plateau from the 1960s to the 1990s, with no notable decline during this 40-year period. The third phase, similar to the first phase, was characterised by a more gradual drop-off during the 1940s and 1950s. The study was published in the Plos One journal. Email “Millennials still recognise songs from music's 1960s-90s golden age, study finds”. Feedback on “Millennials still recognise songs from music's 1960s-90s golden age, study finds”.